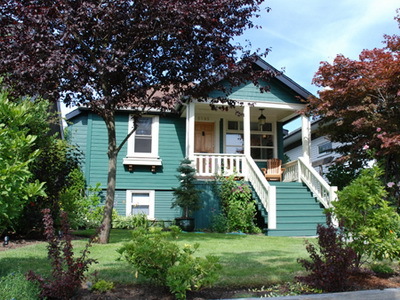 Welcome to your South Hill cottage, a unique city getaway with both antique character and truly modern appeal. 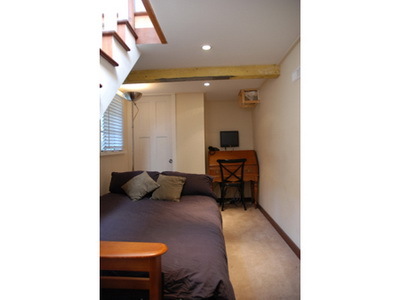 The cottage offers visitors the convenience of a central location and the safety of a well-established neighbourhood. At the foot of Queen Elizabeth Park, Vancouver's second most visited garden it holds within its perimeters some of the most beautiful public gardens and views anywhere. You are perfectly situated to get the most a World Class City and Park can offer. A truly appealing home, it offers the comfort, style and convenience that a visitor requires to enjoy their Vancouver visit to the fullest. 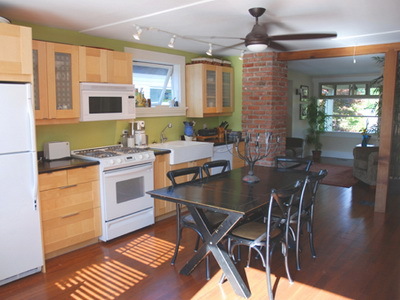 The cottage was updated extensively in summer 2008 to accentuate the charm of the original home while adding many contemporary features. From the front veranda, you enter into an open plan living room with comfortable seating and a theatre wide, LCD, HD television. Complimented with hardwood floors throughout the home, you will find a beautifully restored brick chimney and cedar beams bring you from the living room to an open kitchen/dining area. The large kitchen, equipped with a table that seats six comfortably, possesses all the amenities of a truly modern home. 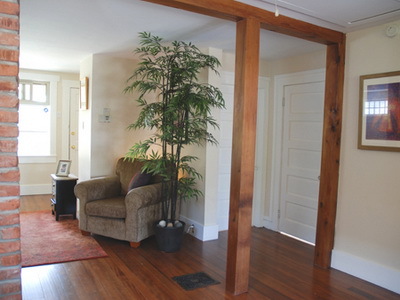 The master bedroom and a second bedroom branch off this open area. 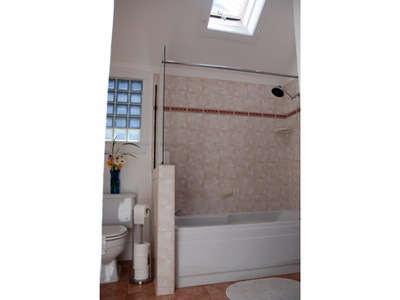 A large bathroom with 14 foot cathedral ceilings and skylight also connects off of the open living area, with the additional convenience of a washer and dryer in place. 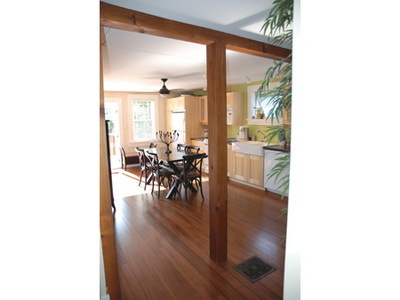 Off of the kitchen/dining area are two large French doors that open up onto a large south-west facing sun deck. 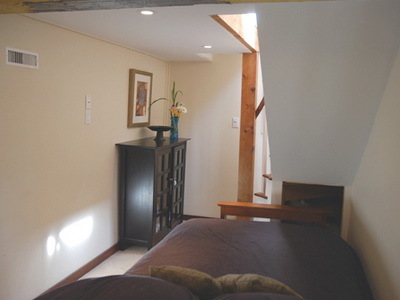 A custom built Fir staircase has been built to a newly added downstairs room, which acts as an additional guest room. Wireless internet makes life even easier, as visitors can go online anywhere in the house at their convenience. 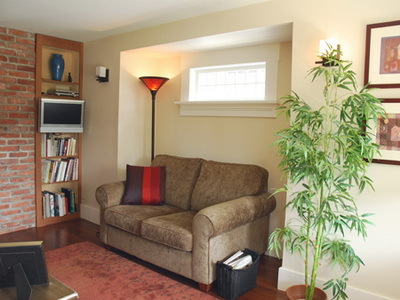 The cottage is situated on top of South Hill, the city summit. 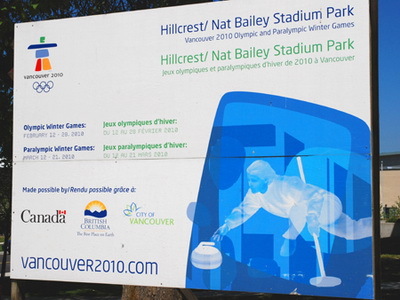 This location is ideal for Olympic visitors as you are literally in the middle of every key venue and a beautiful drive to Whistler. 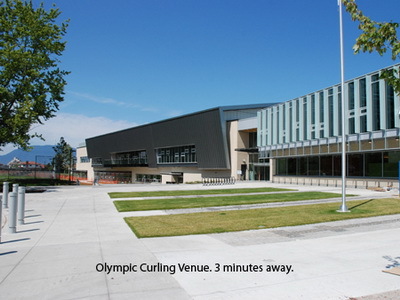 Here you are a three minute drive from Nat Bailey Stadium, the Curling Venue a 10 minute drive from the Speed Skating Oval in Richmond 10 minutes to Figure Skating at Pacific Coliseum 10 minutes to the Olympic village and 15 minutes to downtown Vancouver venues. 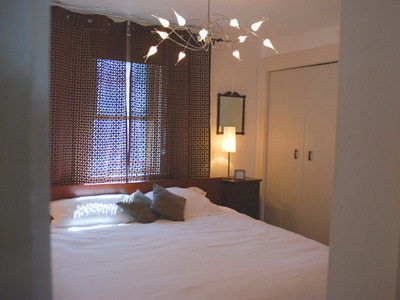 The location is also ideal for visitors that choose not to drive, with public transportation two minutes walk away. The airport is a 20 minute drive away with the Cambie corridor - Canada Line Sky Train, a five minute drive or bus ride away. Shopping at Oakridge Centre, one of the city's largest indoor malls, is only 5 minutes away with convenient grocery shopping, liquor stores, Banks, Starbucks, sushi restaurants and all of the latest designer clothing stores. 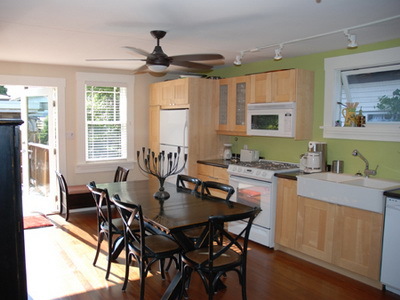 Also minutes from the Main Street, one of Vancouver's most desirable and up-and-coming streets, you will find a fantastic assortment of restaurants and pubs. Main Street will surely be a trendy spot to eat/ visit during the Olympics. 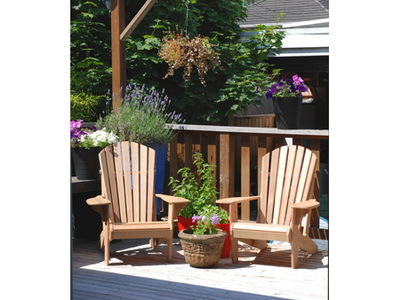 The cottage provides visitors with a place to relax and get-away from it all during the exciting and busy time of the 2010 Olympic Winter Games.